Kim began her health & wellness career in 1982 with Healthtrax International as a Regional Fitness Director. She became invested in Pilates education which was initiated through the BASI program, and recognized by the Pilates Method Alliance. Kim is Certified through Kore Pilates, is a Cancer Exercise Specialist, and is CPR/AED certified. Her ongoing thirst for greater knowledge in the world of mindbody movement include studying under renowned mentors such as Cathleen Murakami, and Lizbeth Garcia. In addition to all of the above, Kim also serves as a guest lecturer at various cancer wellness centers, and has authored several fitness training manuals, industry newspaper articles, and community newsletters. Additional credentials include: Pioneer of the Pink Circle Program, Guide/Instructor of Yoga & 12 Steps Spiritual Practice, Choreographer of "Spinlates", Creator and MBS Intensive Pilates Teacher Training & Educator Curriculum, and Exploration Co-leader (Journeying with groups to Mexicoʼs uninhabited islands for 7 days of Pilates, camping, hiking, and kayaking). Rebecca’s lifelong passion for fitness, movement, wellness and creativity led her into a Pilates mat class in 2000. Intrigued by the philosophy, method and benefits, she continued practicing Pilates through the years. After successful careers in various fields including special education, travel and biotech marketing, she had a golden opportunity to transition from student to instructor. In November 2011, Rebecca entered the Comprehensive Teacher Training Course with Body Arts and Sciences International, a Pilates educational program highly skilled, dedicated and deeply committed to the Pilates ethos. Rebecca holds a B.A. from the University of North Texas, with a major in Radio, Television and a minor in Anthropology. An avid adventurer, she has traveled throughout the world collecting experiences that have significantly influenced her life and her teaching technique. A native of Texas, living in Cardiff, CA, she brings purpose and enthusiasm in her role as a Pilates Instructor. Robyn’s enthusiasm for movement began early in life...literally, she started walking when she was only ten months old! Those early steps in life were only the beginning of what would launch her into a lifelong love of physical movement including dance, gymnastics, skiing, hiking, running, cycling, swimming, personal training, Pilates and the study of the human body and movement (Muscle Activation Techniques). Robyn holds a BA in dance from the University of Colorado. She then went on to achieve her Master’s degree in physical education with a full paid teaching scholarship at Colorado State University, where she later joined the faculty. After completing her masters in 1984, Robyn ventured to Los Angeles where she pursued a career as a professional dancer. An unfortunate injury brought her dance career to a halt but that didn’t sway her from her passion for movement -- she shifted gears and decided to become a personal trainer, emphasizing in post physical rehabilitation. In 1991 she began training in Pilates and became an instructor focusing on creating a better way to train. Robyn later opened her own Pilates studio in 1997, the Center of Movement and Balance. Muscle Activation Techniques (MAT) became a key component of her expertise after discovering it in 2005. Eventually, she chose a different path and sold her studio in 2014 to focus on raising her two teenage sons. Now that they are both in high school Robyn is ready to work more hours. She feels it is a dream when your passion becomes your career and Robyn continues to expand her education and discover the latest information about the human body and neuroscience. Her wide breadth of personal experience, study and discovery make her a wonderful wealth of knowledge for those who seek her guidance. Nancy fell in love with dance and fitness at a young age and her life’s work has reflected her passion for movement. A native to the San Francisco Bay Area, she began her career teaching group fitness and managing a team of personal trainers. This role sparked a deeper interest in training the body effectively and four years later she earned a Bachelor’s degree in Physical Therapy. After 20 years as a Physical Therapist, she was exposed to Pilates and immediately recognized the benefits it could bring to her patients. She completed her mat Pilates certification from Integrated Teacher Training in San Francisco and has incorporated the exercises into her patient care ever since. 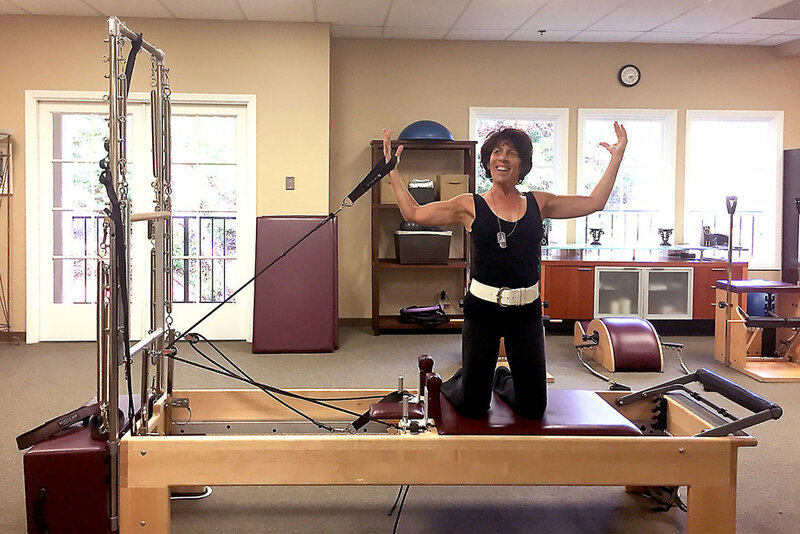 While living in the Sierra mountains, Nancy owned a Pilates and fitness studio which was a springboard for her in pursuing a Doctorate in Physical Therapy and Comprehensive Pilates Training from Polestar Pilates. Nancy is a rehabilitation expert and a master at detecting faulty movement patterns which can lead to pain and disability. She is excited to join the MBS Precision Pilates & Wellness team and looks forward to helping clients develop strong bodies so they can enjoy their favorite activities. For appt's call direct at 209-604-3306 or email avila.nancy at sbcglobal.net. A humble study of all things dance and performance, Tara has trained and professionally taught a variety of disciplines from ballet, jazz, modern, tap, lyrical and hip-hop. In her late teens she apprenticed as a student teacher and eventually went on to study dance and fine arts at the University of California Irvine, and concurrently achieved her dance teaching certification with the American Dance Teacher’s Association in 1996 in various disciplines. Tara danced professionally for several years, both during and after college, with several local companies throughout Southern California. In her latter dance years, Tara was introduced to Pilates and immediately fell in love with the practice. She continued to teach during her professional dance years and eventually incorporated much of the Mat fundamentals in her dance class warm-up routines to help her students improve core strength, balance and flexibility. Tara is grateful to have enjoyed a successful career as a professional dance and performing artist but her most heartfelt achievements have come from being an instructor. Combined with her life long passion for health, wellness, and helping others she decided it was only fitting to take her career to the next level by adding Pilates to her teaching repertoire and became certified through the MBS Teacher Training Program in 2013. She has since added certifications in barre, MELT Method, and pole dancing, to her resume and also teaches dance at several local studios in North County.